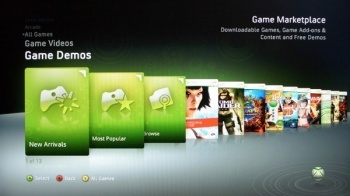 Fenced off online services for consoles are a "dead end," says Valve. PC gaming giants Valve and Blizzard both think that the gaming industry would benefit if platform holders stopped making single platform services like Xbox Live and PSN, and instead worked to create a single online platform that everyone would use. Valve's Gabe Newell said that keeping those walls around online services was a "dead end," and that the industry should be working on making the internet better, rather than trying to keep customers off it. This isn't especially new ground for Newell; he's said in the past that he wished that Xbox Live was a more open service, and expressed a desire to see Sony's decision to allow Steam on PSN pay off. Blizzard's Frank Pearce said that he could see a lot of games becoming platform agnostic in the future, as players increasingly wanted to play games on their own terms, wherever and with whoever they pleased. Pearce wasn't convinced that the online space for consoles would ever be entirely open, but said that he hoped to see more deals like the ones that Sony had struck with CCP and Valve. But Pearce also pointed out that cross-platform gaming was not without its challenges. "If you have a gaming experience on the PC that you want people to enjoy on the console, you may have to adapt components of that experience to different platforms," he said. "So maybe that isn't a level playing field. Maybe some games are best as a shared community rather than a shared gameplay experience. It really is completely dependent on the game itself." There's little consensus between the console manufacturers regarding openness on their respective networks at the moment. Sony seems to be very keen on it, as its deals with Valve and CCP would indicate, Nintendo says that it will be a big feature of its next console, and Microsoft seems to be dead against it. These positions aren't set in stone though, and each company will go where the money is. If Sony generates a massive amount of revenue from its network deals, then Microsoft will almost certainly sit up and take notice. Whether that will evolve into a single online platform is anyone's guess, but if there's money to be made, which there undoubtedly is, then it's not an impossibilty.